Wines, beers and spirits have been around since ancient times and have been part of big celebrations — including weddings — for most of human history. In biblical times and even earlier, spirits and wine were a part of weddings and religious ceremonies. Today, the tradition continues. Not only is champagne a big part of the wedding toast, but top-shelf liquor, spirits and wine also make great wedding gifts. If you’ve been stressing over what to give a couple on their special day or are planning a wedding and wondering how to honor your bridal party, look no further. You aren’t limited to traditional gifts like small jewelry items for bridesmaids or a coffee maker for the happy couple. With luxury liquor brands and personalized bottles, you can offer unique gifts everyone on your list will appreciate. Foodies love wines and liquors because they can be great with or in food and hard-working groomsmen will enjoy having liquor they can use when unwinding or entertaining. And, of course, if you’re planning your own big day, choosing a special commemorative engraved bottle for every table and a special bottle for your wedding toast can make your wedding day even more special. If you want to explore truly special wines, champagnes and liquors for a wedding, turn to WineDelight for quality wines, champagnes, whiskeys and liquors in elegant engraved bottles. WineDelight allows you to custom engrave bottles for that special day so the memories last long after the last drop is gone. Groomsmen can be especially hard to shop for. Trying to pick out something significant can be difficult, especially since everyone is different: What works for the techie will not work for the professional. Gadgets are a popular gift for groomsmen, but the big drawback is they might become obsolete before you even wrap them up. For all these reasons, liquor makes a great gift for groomsmen. Yes, your groomsmen will drink the gift and it will be gone, but a quality bottle of liquor is always appreciated. It will age beautifully, so it can be kept for a special occasion. Go with a personalized bottle of whiskey for your groomsmen or opt for other liquors. Tequila, bourbon, and scotch are all solid choices. Custom engraving makes the bottle even more special and will remind your friends and family of your big day. You can be sure a customized bottle will take center stage in any home bar. Another great option for groomsmen is to put together a custom gift pack. Since everyone loves a Manhattan, for example, you can create a present to help your friends and family mix the perfect drink. Your gift pack will need a shaker, bitters, sweet vermouth, maraschino cherries and, of course, rye. Buy WhistlePig Rye with the groomsman’s name engraved and you’ll be taking your gift to the next level — each time your buddies put together a perfect Manhattan using this high-quality rye, they’ll remember you and your wedding. While it can be a challenge to find something for groomsmen, the opposite challenge exists for bridesmaids — there are so many ideas and gift options that it can be hard to choose. Everything from jewelry pieces to accessories is a possibility. Some brides choose to give items of clothing, bags, robes or other fabric accessories, but these can have a short life. An engraved champagne bottle is always classic and an appreciated gift. For a wedding gift to your bridesmaids, you can offer a personalized bottle of the same champagne served for the wedding or a different type of champagne. Another option is to gift a personalized bottle of wine to each of your bridesmaids. Both wine and champagne capture the spirit of your wedding and will keep well for a special occasion or important dinner. When your friends serve the wine, the engraving will remind them of your big day. Cocktail shakers, liqueurs and other cocktail arranged in cocktail kits let your bridesmaids experiment with different mixed drinks. These kits are great for girls’ nights out or for any entertaining your bridesmaids do. The next time they need to whip up a drink for themselves or someone else, they’ll have what they need. Look for kits that come with recipes or include note cards with your favorite mixed drink recipes so your friends have a few new ideas to try. You’ll probably want to take your bridesmaids and bridegrooms to a rehearsal dinner, thank you dinner and bachelor or bachelorette parties. There’s no better way to celebrate these milestones to your wedding than with customized bottles of liquor, champagne or wine. It’s a beautiful way to show your loved ones how much you appreciate their role in your big day. And you can be sure that the bottles will stay with them for years as a reminder of the fun you had together at your wedding. Wedding toasts are a way for your friends to send you off to married bliss. 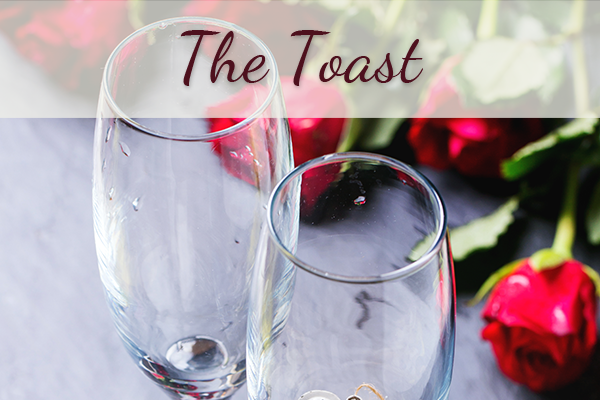 Some couples don’t think twice about the champagne or wine that’ll be used for their wedding toast or leave their reception drinks to get sorted out by the wedding venue. If you want to start married life sipping on delicious champagne or wine, though, this is a detail you’ll need to pay attention to. Since a toast will happen anyway, why not get a special engraved bottle of premiere champagne from WineDelight? Order several bottles and you’ll be able to get everyone to toast your love from bottles that are engraved with a special message. After the wedding, the two of you can keep your engraved bottles as keepsakes. 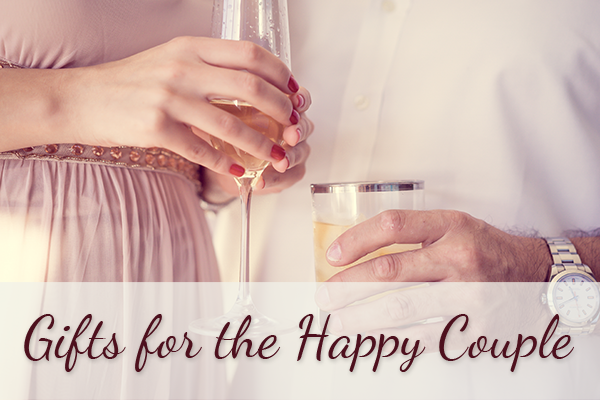 Full bottles can be tucked away so you can toast your wedding anniversaries. And you’ll need guest gifts after the toast. What could be more elegant and sophisticated than a personal, engraved bottle of high-end liquor, wine or champagne? 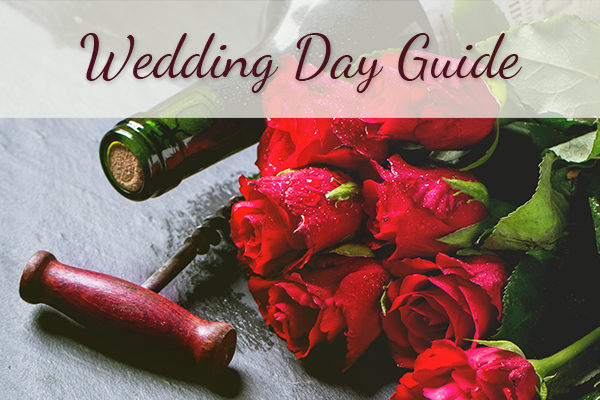 Each time your loved ones peek into their selection of wines, they’ll remember your big day. And quality wines and liquors such as Macallan scotch or Dom Perignon champagne is sure to leave a lasting impression. Every couple wants their wedding to be as unique as their love. But if you’re wondering how to create those truly memorable unique touches, don’t fret. A simple way to bring a special something to the wedding reception is to serve a custom drink — one named after the happy couple. You can even give each guest a bottle of liquor as a gift so they can make the same drink at home. If you get engraved bottles of luxury liquor from WineDelight you can have “your” special drink recipe engraved right on the bottle for a gift your guests are sure to rave about. Even with wedding registries, finding the right wedding gift in your price range can be a challenge if you’ve been invited to a wedding. You want something the couple will use and that will be significant. A toaster, no matter how practical, may not have the flair or the sentimental value you want. Many people recommend offering home accessories or coffee makers as gifts, but these inevitably end up being replaced — sometimes within a few years. Many couples don’t end up eating much or having much of a chance to taste the champagne and wine at their own wedding reception, because they’re busy talking to everyone and mingling with guests. A bottle of quality champagne, wine, or liquor — especially in an engraved bottle — ensures the couple can toast to their new life in private. 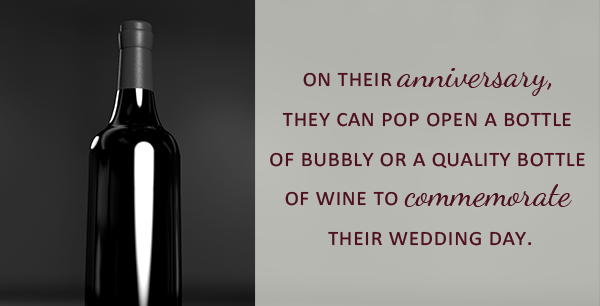 There’s another reason why giving wine or champagne can be a great choice as a wedding gift. In the past, couples would sometimes freeze pieces of their wedding cake to keep as a memento of their big day. A bottle of champagne or wine makes a much better memento and a great gift. Champagne or wine can last for years and the taste can even improve with time. In a personalized bottle, it can be displayed in a newlywed’s home instead of being kept in the back of the freezer. An engraved bottle of wine for the couple can help create a new wedding custom: On their anniversary, they can pop open a bottle of bubbly or a quality bottle of wine to commemorate their wedding day. Furniture can be tricky to buy, but some pieces are a great option because they are luxurious touches newlyweds might not think to buy themselves. For instance, a luxury wine rack, a portable bar or wine fridge are great additions to any home — especially if they are filled with a custom-engraved bottle of wine or liquor to start a couple’s new collection. If a wine rack is too cumbersome, there are many other gifts that pair flawlessly with a luxury bottle of champagne, liquor or wine. Glassware and liquor or wine, for example, pair together wonderfully. Tumblers, goblets, wine glasses, snifters for brandy or whiskey, beer mugs and liqueur glasses — there can be a lot of glassware involved in entertaining or just relaxing at home and enjoying a drink properly. Glassware is always a great gift, especially since it’s something that can be used for years. You can pair the glassware with a personalized bottle of scotch or wine so the happy couple has something to enjoy in their new glassware. Simple bar accessories can also have a big impact when paired with luxury whiskey, liquor, or wine. For example, beautiful wine stoppers or decanters can last for years and make a thoughtful, practical gift. Whiskey stones are another great option. These stones keep whiskey (and other drinks) cold without diluting them with ice. Beer tankards, coasters, neon bar signs and drinking games are also good options. Cocktail-making sets, personalized flasks, elegant cocktail shakers, wine racks and novelty corkscrews or bottle openers also make great gifts — especially when accompanied by engraved bottles of wine, champagne, whiskey or other liquor. 3) A Special Moment for After the Wedding. Newlyweds will want to spend as much time on romance and togetherness after their big day, so why not offer them a way to celebrate their love in style? Buy a luxury wine or champagne, such as Veuve Clicquot or Ghost Block Oakville Cabernet Sauvignon and have the bottle engraved with a beautiful poem or toast from you to the happy couple. Add two glasses and the newlyweds will have everything they need for a special toast just for the two of them. On the honeymoon or long after the wedding is over, they can sit back and enjoy a special moment just for two. They can then save the bottle or label to remind them of the special memory. This is a special, unique gift that’s sure to be appreciated because it gives the couple what they most want: romance and time together. If you want to make your gift even grander, pair a commemorative bottle or champagne or wine with something else. For example, buy a cheese board but include a personalized bottle of wine for your wedding gift, so your friends have everything they need for a wine and cheese party. Another option is buy an elegant picnic basket and tuck in elegant napkins, a blanket, cutlery and bottle of wine. 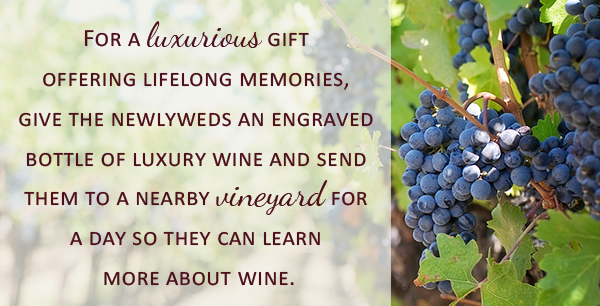 For a luxurious gift offering lifelong memories, give the newlyweds an engraved bottle of luxury wine and send them to a nearby vineyard for a day so they can learn more about wine. Or, sign them up for cooking classes or a wine tasting and wrap the class certificate around an engraved bottle of wine that will complement the meal. A spa treatment for couples can also be a great option — especially when you include an engraved bottle of champagne. Anything that gets the couple out and having fun together (or getting pampered together) is a great choice. Most couples spend the months before their wedding worrying about wedding details, so it can be wonderful to have a chance to relax and reconnect after the big day. bottle engraving for groomsmen gifts and other wedding gifts, WineDelight makes shopping even easier. WineDelight offers same-day engraving and bulk services, so you can buy all your wedding party gifts in one place. Choose from luxury tequilas, champagnes, wines, scotches, whiskeys and liqueur and then personalize each bottle with names, dates, a message, a logo or even a picture. With outstanding customer service and free shipping on orders over $250, WineDelight makes it easy to buy gifts to amaze even the most finicky recipient. Now, you can buy an engraved bottle of whiskey for groomsmen, for a bridesmaid or for a couple — or choose from personalized wine and champagne bottles. Quality products together with timely, beautiful personalization means WineDelight lets you create a just-for-them gift to make the big day all the more memorable.